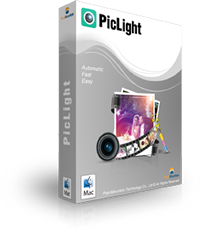 Making personalized cards is so easy with this powerful greeting card maker, which turns ordinary photos into distinctive photo cards for any occasion and holiday. 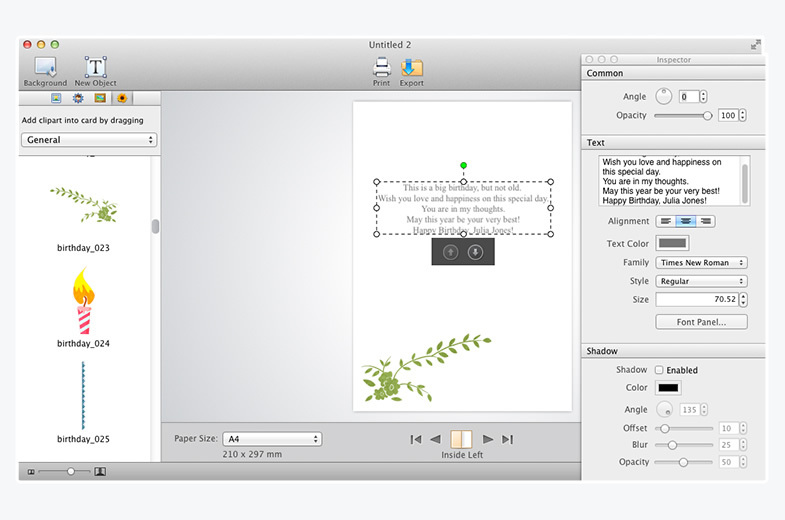 WYSIWYG—Real-time preview with high speed. 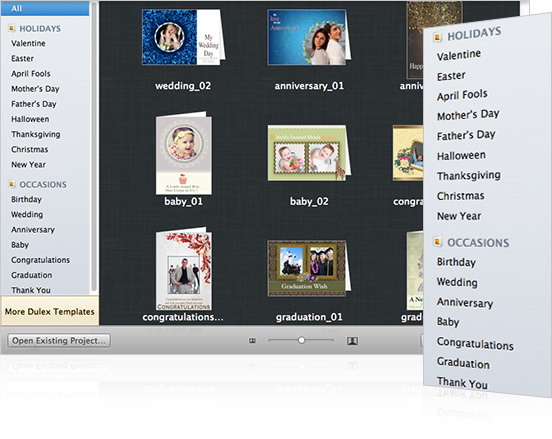 Easy enough to personalize printable greeting cards with an intuitive interface. Lots of art resources and design features provided help to customize your photo cards perfectly. Diverse templates help you to extend your creativity fully by designing creative and distinctive photo cards. Templates are suitable for any holiday and occasion, like Birthday, Graduation, Christmas, Thanksgiving, Wedding and so on. 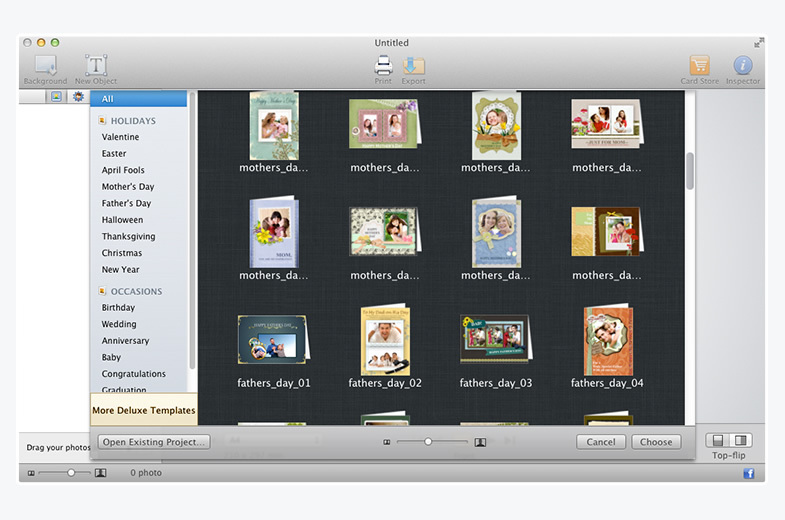 Simply drag and drop your photos into this powerful card maker. 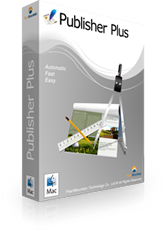 Move, rotate, and resize photos with a few mouse clicks. Freely crop photo to make it fit well into the chosen frame. Various background patterns provided help you produce good-looking greeting cards. 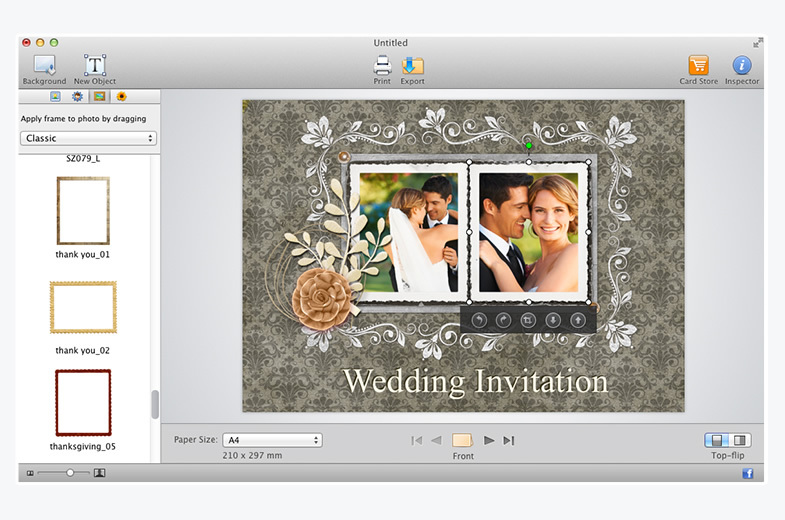 Different frames, masks, clipart help you create special artistic effects for cards. 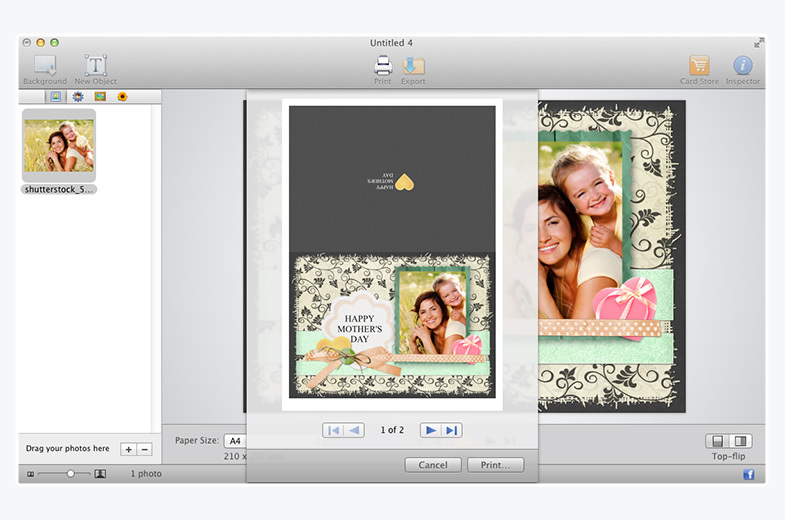 Make greeting cards more aesthetic by adjusting the size and position of the embellishments. 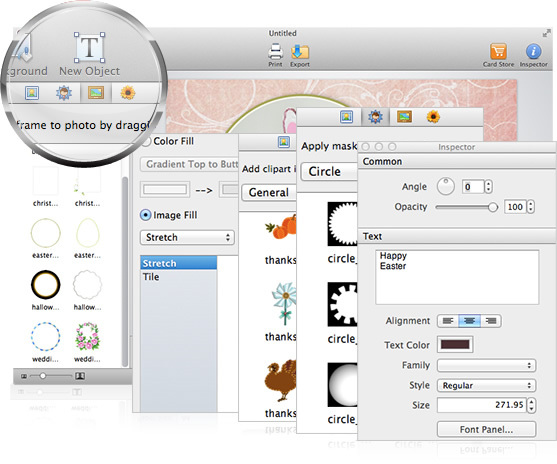 Add your wishes as text object and edit the text by applying shadow, adjusting font, size, color, angle, and so on. 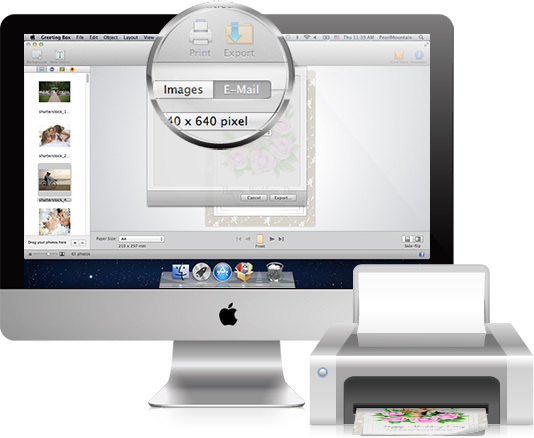 Save card as different image formats. Share card with your friends and families via Email. 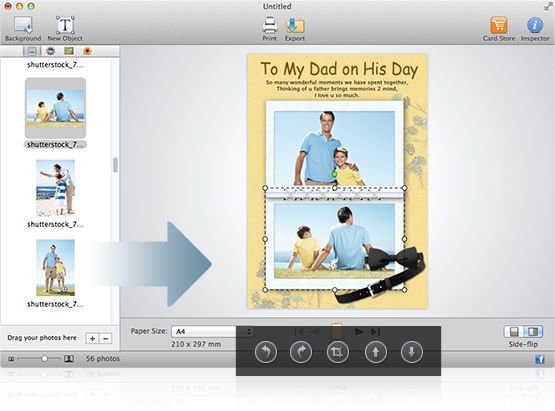 Print your personalized card directly in half-fold. Save the project for further editing. 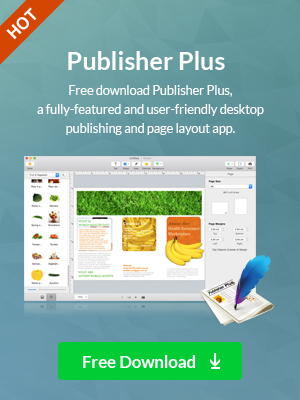 An easy-to-use page layout and desktop publishing software on Mac OS X, perfect for designing anything you want to layout and print. Perfect app to enhance your photos with unique lighting effects and stack effects for unlimited possibilities.